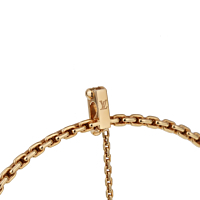 A remarkable Louis Vuitton 18K gold chain bracelet. 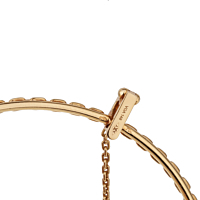 This chic Louis Vuitton gold bangle bracelet has been crafted of 18K yellow gold links, and from these a large and lovely amethyst floats freely on a length of 18K gold chain. Size Up to 6 3/4"